Very nice and clean, well kept park. Bathrooms were very clean and sites were raked whenever someone leaves for the next camper. Sites were level. cable would not work for us nor any of our group that was staying there on our row of sites. They were very nice to let us use the rec room for free for a potluck we had with friends staying there. Was overcharged by one night but called and they are crediting back my credit card for the extra night. Park is close to downtown but not walking distance. No fire ring or grill for cooking. Would stay there again in a heartbeat! 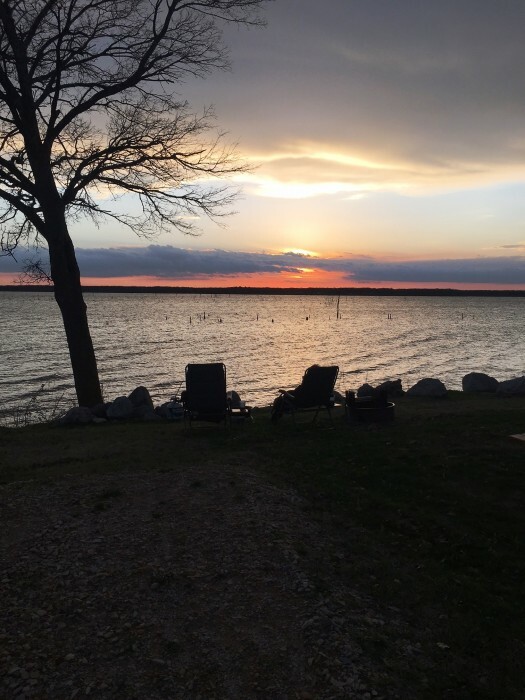 We camped at Fredericksburg RV Park in a Fifth Wheel. Shopping downtown, plenty of wineries, German food, Luckenbach is close by, and Enchanted Rock State Park. Very nice park! They are slowly adding new sites and upgrading. I would highly recommend this park. 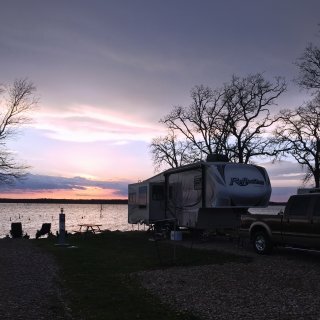 We camped at Wind Point Park in a Fifth Wheel. Stayed here a week on vacation, very nice and clean park. Had the buffet breakfast Sunday morning and was disappointed. Food was cold. Overall the RV sites are nice and not on top of each other. Sites are challenging as far as leveling. Lots of trees for shade. Just make sure that you have plenty of groceries when you arrive as the drive to Burnet HEB is a 20 minute drive or so. Will come back again! We camped at Canyon of the Eagles Lodge & Nature Park in a Fifth Wheel. Need to check out Longhorn Caverns! We had stayed here YEARS before but had heard they made some major upgrades. Did they ever!! This park is really nice and clean with waterfront sites added. They are continually upgrading other long term and short term sites. The grounds are gated and a code is needed to enter. People are friendly and also helped with backing into the site. Some pull throughs and some back ins. Clean restrooms, screened shelters, cabins, and tent sites. If you have to cancel, they will not give a refund but they "credit" you for your next stay. We stayed for a weekend and will be back! 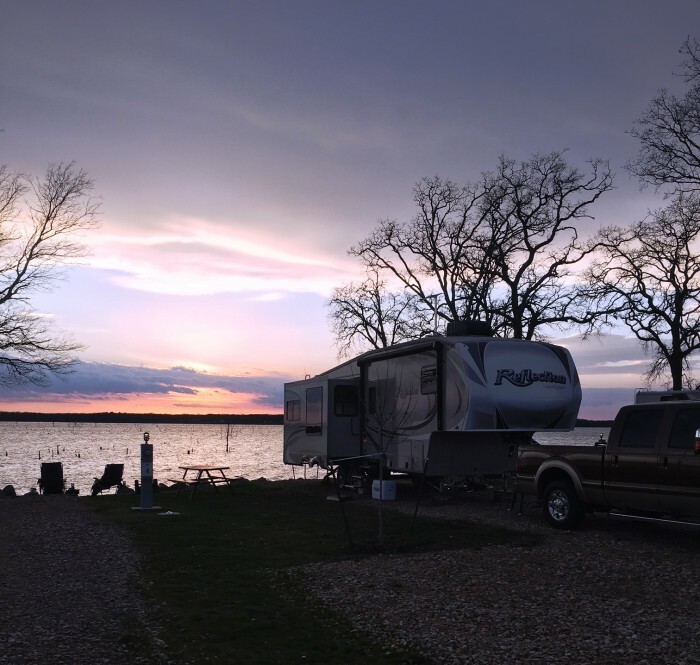 We camped at Wind Point Park in a Fifth Wheel. Need to try out the "Buffalo Grille" in Lone Oak. Great food! This is a very clean and well run park. Our weekly stay here was excellent with all the facilities of being home. Only thing missing was water in the dog run area. We would definitely come here again and recommend it to everyone!! 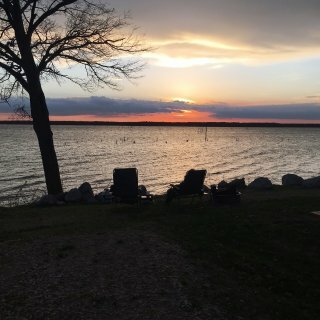 We camped at Oak Forest RV Park in a Travel Trailer.